REPUBLIC, MI – Marie F. Oja, age 74, of 6257 Co Rd 601, Republic passed away on Saturday March 18, 2017 at her home in Republic. Marie was in the loving care of her family and the U.P. Home Health and Hospice at the time of her death. Marie was born February 7, 1943 in Santa Clara, CA to the late James and Mary (Buck) Craig. Marie grew up in California and was a graduate of the Sunnyvale High School, class of 1960. Marie had worked as a bookkeeper for NASA, which is where she met her future husband Richard Oja. In 1965 Marie moved from San Jose, CA to Republic, MI where she resided for over 50 years, and raised her family. She was an active member of the Bethany Lutheran Church in Republic, had a passion for quilting, reading, gardening – both vegetables and flowers, and was a proud lifelong Weight Watchers member. 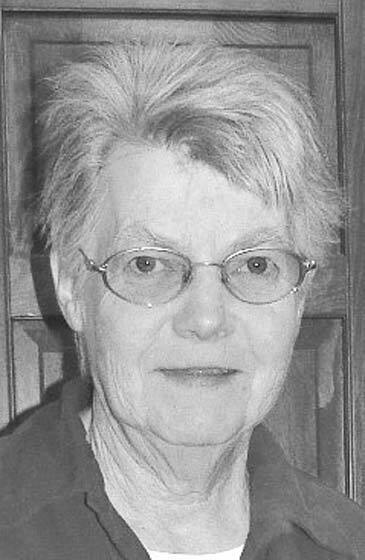 Marie had worked with public enrichment both in Republic and Iron Mountain along with volunteering at the Superiorland Library Cooperative in Marquette. Marie is survived by her 3 children- Ron (Jennie) Oja of Ishpeming, Christine (Aaron) Hornsby of Bloomington, IL, Betsy (David) Neznanski of Republic, a twin sister – Frances Alice Craig of Freemont, CA, 9 grandchildren- Jeremy Lyons, Brandon Lyons, Jesse Lyons, Benjamin Lyons, Morgan Oja, Trevor Hornsby, Ian Hornsby, Hayden Hornsby, Max Hornsby, brothers-in-law – “Pee-wee” Oja, Roger (Kim) Oja, and Curt Oja, along with several nieces and nephews. She was preceded in death by her parents, her husband Richard in 2007, and her nephew Mark Oja. The family will greet relatives and friends from 10:00 am until 11:00 am on Wednesday March 22, 2017 at the Bethany Lutheran Church in Republic. Funeral services will follow at 11:00 am on Wednesday at the Bethany Lutheran Church with the Rev. Kevin Kaiser to officiate. A luncheon will follow in the church hall. Interment will take place in the spring at the Republic Cemetery. Pallbearers will be “Pee-wee” Oja, Aaron Oja, Trevor Hornsby, Aaron Hornsby, Dave Neznanski and Richard Nicholas. Marie’s obituary may also be viewed at bjorkandzhulkie.com where relatives and friends may leave a note of remembrance.